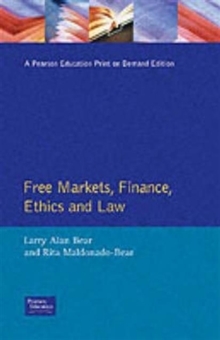 This book offers an interdisciplinary approach to many of the practical ethical issues that business students and business persons must face in their work. It covers market structure and function, illustrating how markets operate, where and why they evidence particular failures, and the extent to which outside-the-market forces intervene (constructively or destructively) to deal with perceived failures. Each chapter ends with real, practical and current ethical dilemmas centred around the topics covered.